Tim's Specialized Tutorials: Positive Empowered : one Positive Empowered audio and one Positive Empowered Hypnotic Audio. The Creator and Founder of PSTEC, Tim Phizackerley, reveals answers to common questions on how to use the PSTEC Click Tracks in the most effective ways ... over 1 1/2 hours of questions and answers are covered in the mp3 audio download. Plus, a pdf handout is provided with the various questions. 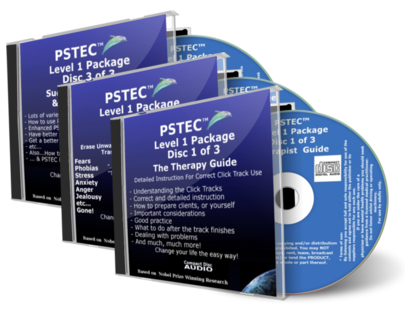 The PSTEC Level 1 Audio Package includes seven audio files; An Introduction to PSTEC, The PSTEC Therapy Course, Success and PSTEC Positive (instructions); PSTEC Positive Click Track 1, the tapping version; and PSTEC Positive Click Track 2, the non tapping version; the two Enhanced Effectiveness (EEF) Click Tracks for particularly "sticky" issues. 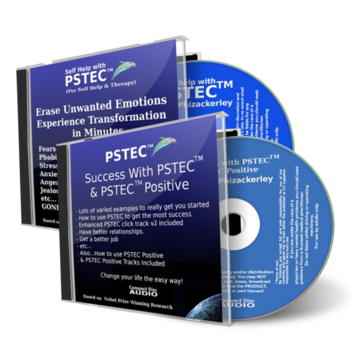 If you are going to use PSTEC for extensive work; meaning for various issues that come up in your life or if you are facing some heavy, heavy and long standing traumas; best to get this package. It not only speeds up the effectiveness of other PSTEC tracks, but also helps to encourage the subconscious to reveal more "junk" so you know what to target and, therefore, release even more barriers. Includes 5 audios; tutorial, two relax tracks, long and short version; two tapping tracks. 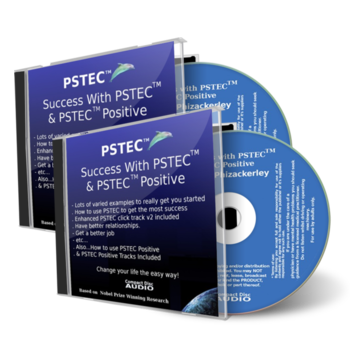 Extra Powerful PSTEC Click Tracks; includes two click track audios, EEF Click Track 1 and EEF Click Track 2 ... ***IMPORTANT: This package is included with the Level 1 Package - A PSTEC Essential and the best PSTEC value! PSTEC Positive Extra Power Tracks amplify the power of your abilities to shift your beliefs higher and further than ever. Includes instructional audio and 3 PSTEC Positive Tracks; 2 tapping and 1 non-tapping. 13MB of audio files. *** Therapists only! Not suited to self help*** Tim Phizackerley, Creator of PSTEC, helps you understand anchoring, talks about common mistakes therapists make and how to use anchoring to simply and easily increase your effectiveness as a therapist. Audio length: 34 min.